First off, may we start by wishing you all a happy New Year. Here’s to 2017! Several of you may have noticed that last month we had a blog about money management and debt prevention. 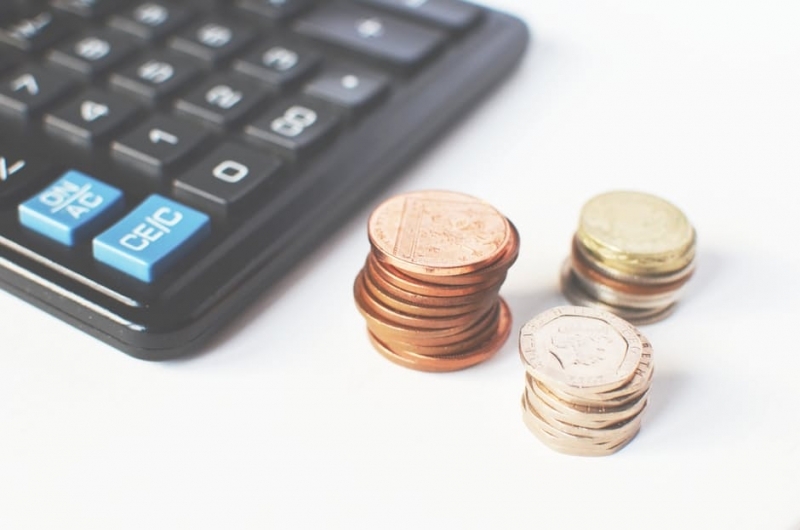 This week’s blog is aimed at helping those on a low income to understand what benefits and resources are available to help them meet the daily cost of living. So many of you may be wondering what exactly is a Financial Health Checker? Well a Financial Health Checker looks at your financial situation and highlights both the good and bad aspects of your financial state. It also provides you with tips for a healthier financial lifestyle. I know what you’re going to say, why in heaven do I need that? Well let me share a rather shocking truth with you: most people actually have no idea what the true extent of their financial situation is or how to improve it. Sure you may be one of those people who documents their every expense and needs no help but just humour yourself for a minute and use our on-line financial healthcheck; you may be surprised by the outcome. Okay so now onto the real stuff. The first step to insuring that you have as much money coming into the house as possible is by making sure your employer is following the law and paying you what you are entitled to. This may seem like common sense but there are in fact a surprising number of people who are not being paid the National Minimum Wage; especially since it was raised last year. Check what you’re entitlement is by using the National Minimum Wage and Living Wage Calculator. If you believe you are getting paid less that the minimum wage you are entitled to, click here. The second step to maximising your income is looking at what benefits you may be entitled to. There are many different benefits out there and it may be that you are able to claim multiple benefits. Most people at some point in their lives claim for some form of benefits from the government, so there really is no shame in it. Most of us could do with a little help now and again and that’s one of the reasons we pay taxes for! Universal Credit is a new benefit and comes in the form of a single monthly payment at the end of the month in the same way a paycheck from work does. It is for people both in and out of work, and is the new replacement for several of the benefits and tax credits that you might already be receiving. For more information on Universal Credit >> Click here <<. If you’re working part time or living as part of a low income household, there are several different benefits that you or others in the home could be entitled to. These include Working Tax Credit, Council Tax Support, Housing Benefit, Income Support, Income-based Jobseeker’s Allowance, Income-related Employment and Support Allowance, or Universal Credit. There is a full ‘A to Z of benefits’ on our website if you would like more information on any of the benefits. You can also look at our Tax credits entitlement tables. Could increasing your hours at work help relieve those financial burdens? The other way to help maximise your income is to look at whether you could work more hours, if paid by the hour. Working a minimum of 16 hours a week could make you eligible for Working Tax Credits. Is there also someone in the house who is 16 or over and who could be contributing to the household expenses or paying for their own nights out and isn’t? If you’re struggling financially, sometimes asking for help from within the family/household could mean the difference between keeping and losing your home. For financial help for students aged 16-19, >>click here<<. If you need to increase your income and you are not currently in work, then one option is to look for work. You can upload your CV, set up email alerts for jobs and keep a record of your job applications with Universal Jobmatch. Of course there are situations where this is not an option for one reason or another and if that is the case for you, then don’t worry, as there are plenty of other potential resources available. As you may be aware, looking after children is a full time job; but there is support out there for parents. Child Benefit and Child Tax Credit can make a huge difference when you’re living on a low income and have children to support. Make sure you’re getting the benefits you’re entitled to by using the Benefits Calculators from either Turn2us or EntitledTo. If your child has a disability then there is also Disability Living Allowance. This will help to pay for any additional support that your child needs. Marriage Allowance lets you transfer £1,100 of your Personal Allowance to your husband, wife or civil partner – if they earn more than you. This reduces their tax by up to £220 in the tax year. View the GOV website to see if you are eligible and for further information. If you are unable to work due to health conditions there are several different benefits that may be available to you Personal Independence Payments, Employment Support Allowance, Working Tax Credits, Incapacity Benefits and Statutory Sick Pay to name a few. There are also benefits to help carers including Carer’s Allowance & Carer Premium if you are unable to work due to caring for someone else. If you reached State Pension age before 6 April 2016 and you’re already getting State Pension, you won’t be affected by changes to the State Pension introduced in April 2016. Between October 2018 and October 2020, both men and women’s state pension age will increase to 66. Living off a state pension isn’t easy for many. The full basic State Pension you can get depends on when you reached pension age. If you reached pension age before the 6th of April 2016 the basic state pension is £119.30 per week and you need 30 qualifying years of National Insurance contributions to get the full amount. If you reached pension age after that date, the basic state pension is £155.65 and you need 35 qualifying years of National Insurance contributions. You may also qualify for an Additional State Pension depending on your contributions. This is sometimes known as State Second Pension. You can top up the amount of weekly pension you receive by up to £25 a week by paying a lump sum National Insurance contribution or by using the State Pension top-up scheme. You can choose to keep on working, whether paid or on a voluntary basis, while claiming your State Pension. Any money you earn will not affect your State Pension, but it may affect your entitlement to other benefits such as Pension Credit, Housing Benefit and Council Tax Reduction. If you are already getting benefits and you are approaching pension age, you might need to consult an experienced adviser about how the different benefits work together. If you have a choice between different benefits, an experienced adviser can help you choose which is best for you. You can consult an experienced adviser, for example, at a Citizens Advice Bureau. If you have a disability, you can also claim Attendance Allowance to help with any additional expenses. There’s a limit on the total amount of benefits that most people aged 16 to 64 can get, this is called the benefit cap. After this amount has been reached, the amount of housing benefit that you get is reduced. There are also some benefits that are not included in the benefit cap. If you are worried then click here to use the benefit cap calculator (you can’t check if you’re affected by the benefit cap calculator if you’re claiming Universal Credit). For more information about the Benefit Cap Support Programme, clients need to speak to their Jobcentre Plus Work Coach for a referral or call Vicky Pocock at Abilities on 01305 771327. Click here for details of the services and events available on The Abilities website.